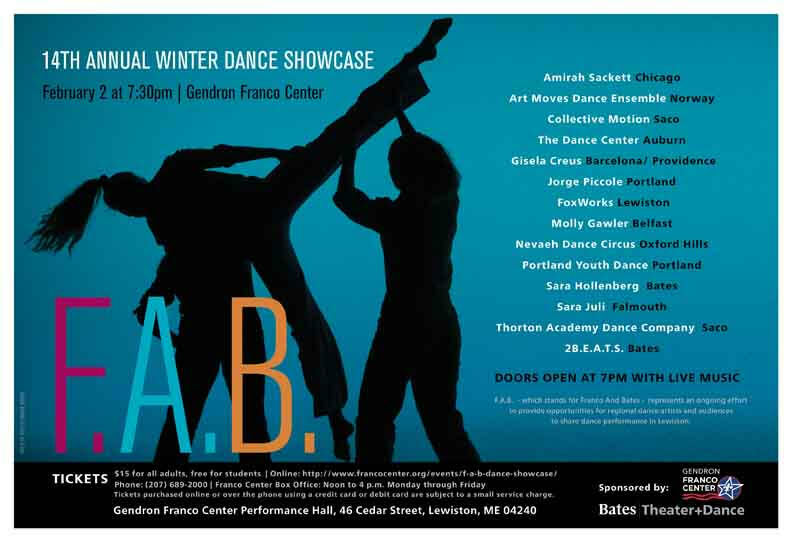 Including Thornton Academy Dance Company. February 2, 7:00 p.m., Gendron Franco Center. Tickets: $15.00 for adults, free for students. For tickets call Bates College at 689.2000. F.A.B. (Franco and Bates) represents an ongoing effort to provide opportunities for regional dance artists to present dance works in central Maine, as well as an opportunity for local audiences to have access to contemporary dance works. Visually stunning and kinetically mesmerizing, this event combines classic and modern dance pieces in one of L/A’s magnificent performance halls. You are currently browsing the me arts ed blog archives for the day Friday, February 1st, 2019.